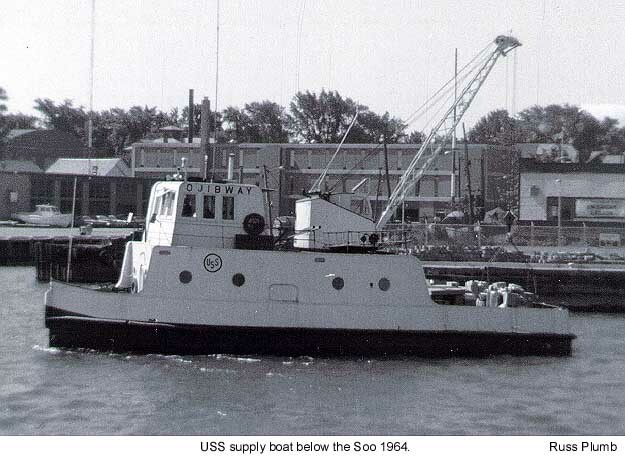 For many years the Ojibway was the smallest and least recognizable member of the USS Great Lakes Fleet. 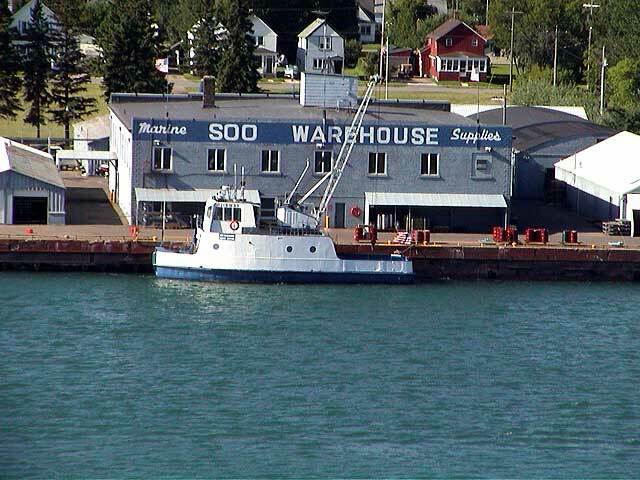 She also differed from her fleet mates because of instead of plying between ports the vessel stays in the St. Marys River home ported at the Soo Supply Warehouse as her duty is a Supply Boat. 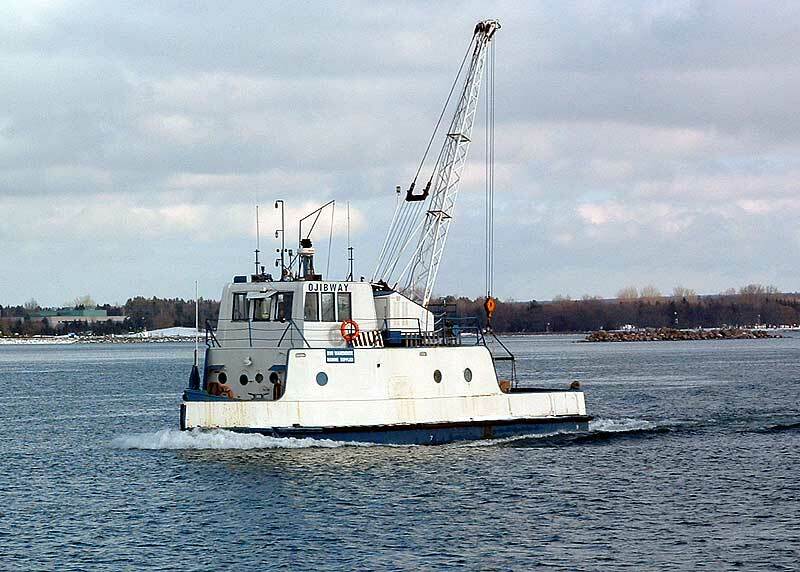 To some the Ojibway is an awkward looking boat, but she is easily recognized by the crane that sits behind her small pilothouse. 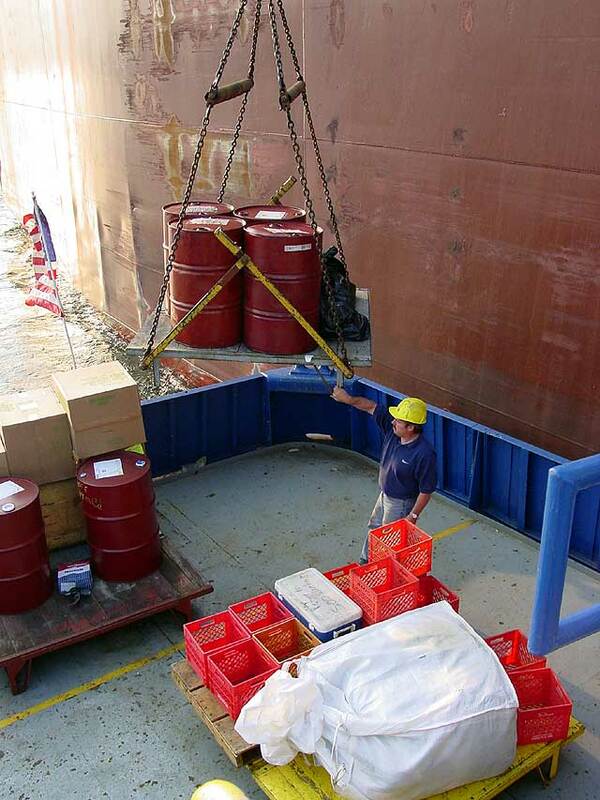 The crane is used to lift large pallets of anything the ship may need from food to engine parts up to the the ship's spar deck. 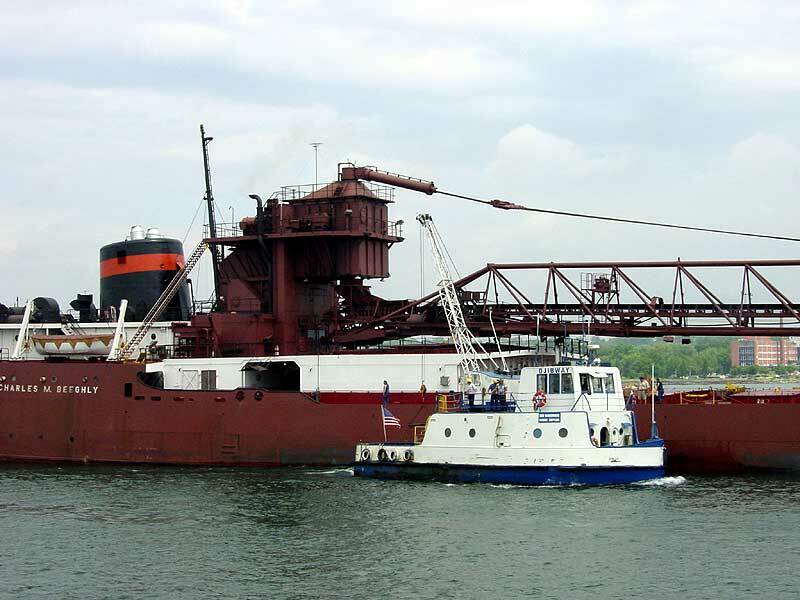 The process of resupply is usually done as a vessel passes downbound, the Ojibway finds a spot to wait in the river as the ship begins to head closer, as the ship passes and slows down the Ojibway will come alongside and ties up to the ship. 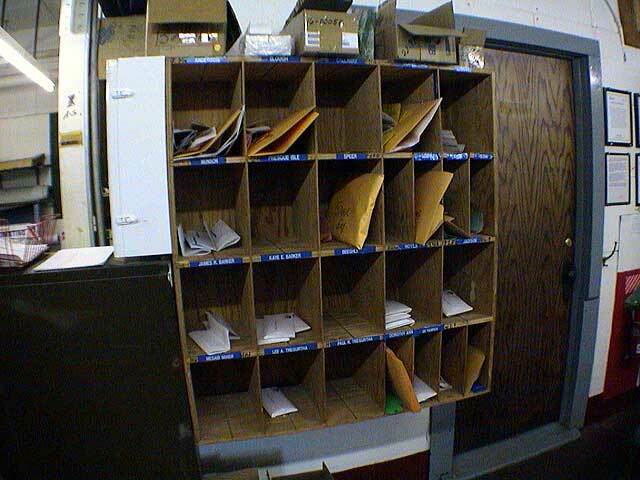 The pallets of supplies are then lifted up to the ship while such things as mail, garbage and dirty linens are taken back to be sent out, disposed of or cleaned. 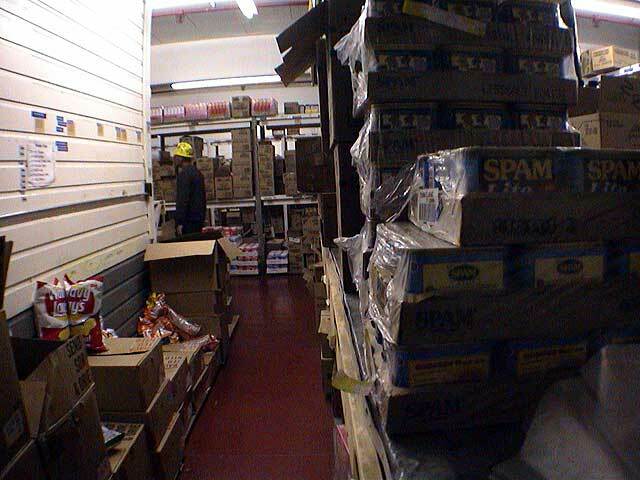 Sometimes members of the crew or visitors also get off and are taken back to the warehouse. 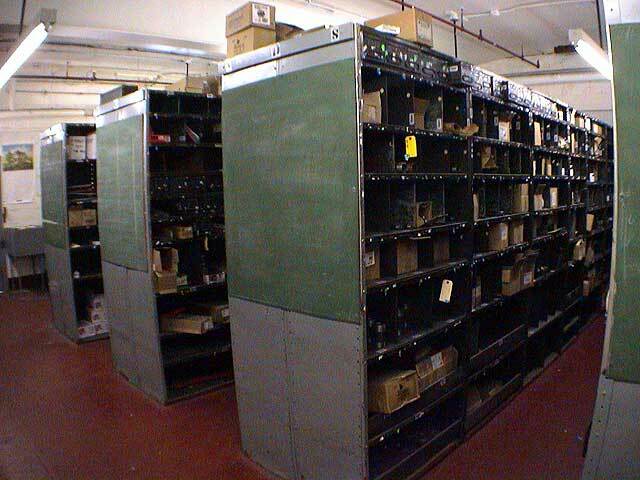 After all supplies are aboard and anything needed to be taken off is on the Ojibway, the lines are cast and the ship continues on, and the Ojibway returns to the warehouse. 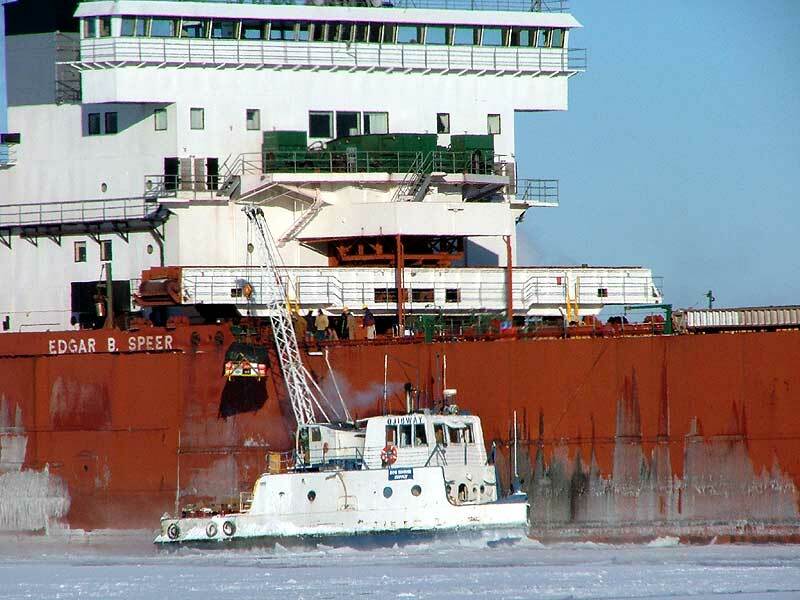 The Ojibway was built as hull number 526 in 1945 by the Great Lakes Engineering Works in Ashtabula OH . After making the journey to the locks the vessel has remained there ever since. 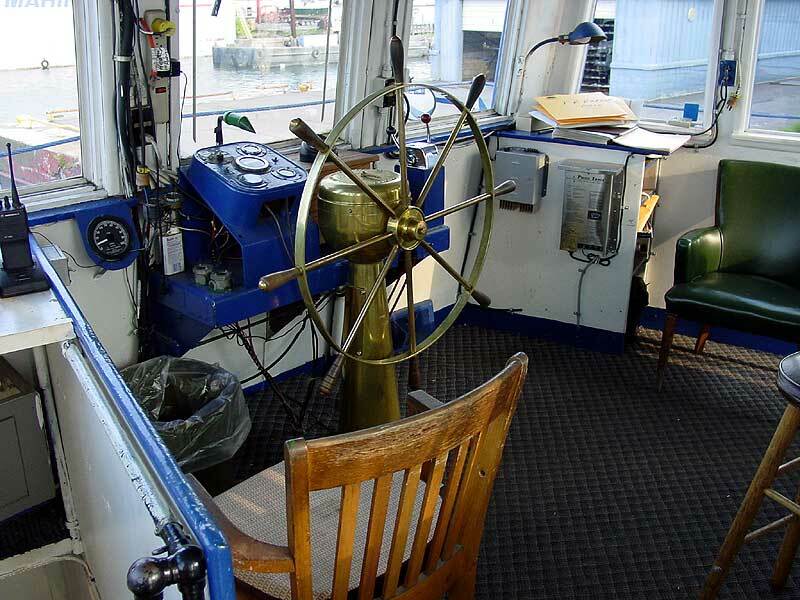 She can easily be seen servicing her fleet mates and under contract will deliver to ships of other fleets, including Interlake Steamship. Her namesake is for the Ojibwa tribe of Indians, some of the first inhabitants of the land around the Great Lakes. 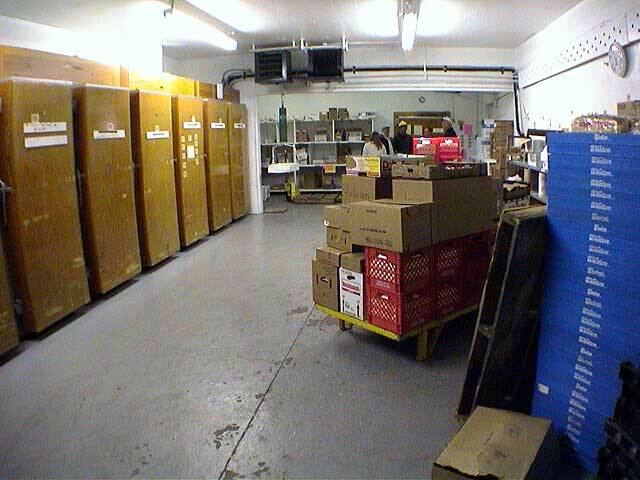 In January, 2003 Great Lakes Transportation announced the sale of the Soo Warehouse. 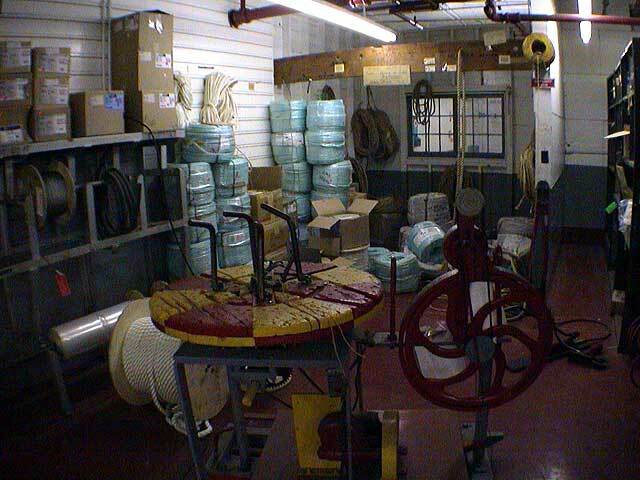 The property and the supply boat were sold to MCM Marine, which operates an adjacent small drydock. 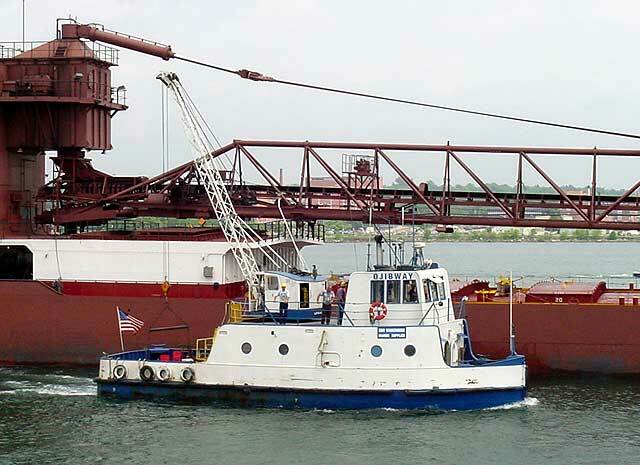 The vessel continues to operate as when the company was owned by GLT.